Both Punjab and Delhi are riding high on confidence having won their respective matches on Saturday. With Kagiso Rabada’s yorker being the talk of the town, it will be interesting to see how the Delhi Capitals pacer counters the hard-hitting Kings XI Punjab batsmen when the two teams clash in an IPL match on Monday. Rabada helped the Capitals defend the lowest total (10) in a Super Over in IPL history after the scores were tied at 185 in the allotted 20 overs each. Focus will now be on how the South African paceman would fare against the likes of Chris Gayle, Lokesh Rahul, Mayank Agarwal and David Miller. Both sides are riding high on confidence having won their respective matches on Saturday. In fact, both the teams’ opening batsmen were the architect of their victory. While Delhi’s Prithvi Shaw (55-ball 99) almost took the team home against Kolkata Knight Riders, Rahul (57-ball 71) finished the job for Punjab against Mumbai Indians. Playing on home turf, Rahul, who had failed in his first two matches, played a controlled innings while Gayle (40) and Mayank Agarwal (43) also chipped in with crucial runs to help Punjab comfortably chase down the 177-run target, set by Mumbai. Gayle was his usual self and batted in the manner only he can as 36 of his 40-run knock came in boundaries and sixes. Rahul has the ability to steady the innings and play sheet anchor’s role and Gayle can puncture opposition camp’s plans to control the run flow, something that Delhi would be worried about. Punjab’s bowling is spearheaded by Mohammed Shami and with other key players such as Andrew Tye and Hardus Viljoen in their ranks, it may not be easy for the visiting batsmen. 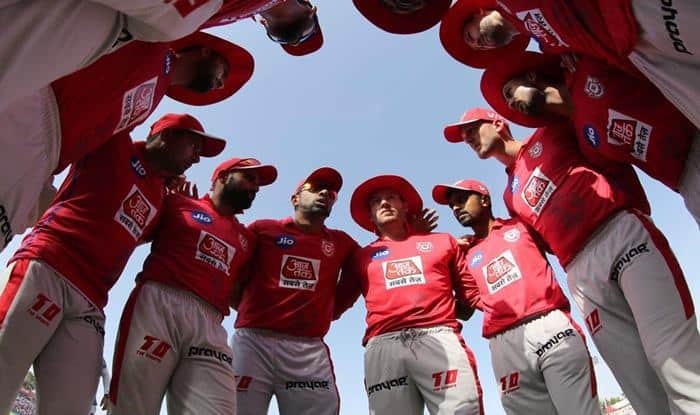 Moreover, Ravichandran Ashwin-led KXIP would also have the advantage of playing at home and they will look to exploit familiar conditions once again. Delhi though will be desperate to get the momentum going after winning a close game. Chasing 186 to win against KKR, Delhi were set up nicely by Shaw but they failed score six runs from the last over, taking the match to Super Over. However, Rabada’s sensational yorkers in all six balls restricted KKR to just seven runs while chasing 11. Delhi will be hoping not to let that advantage slip. Besides Shaw, Delhi also have the likes of Rishabh Pant, who played a superb knock of 78 to pile up a mammoth 213 against Mumbai Indians in the first match, Shikhar Dhawan, captain Shreyas Iyer and Colin Ingram. They would expect their batsmen come out all guns blazing against Punjab on Sunday. The bowling department comprising Kiwi speedster Trent Bolt, Ishant Sharma and Axar Patel besides Rabada, is also capable of causing damage to the opposition. Delhi would be hoping to put up an all-round performance against Punjab, who have shown they are not an easy side to beat. Delhi Capitals: Shreyas Iyer (C), Colin Munro, Prithvi Shaw, Shikhar Dhawan, Hanuma Vihari, Colin Ingram, Manjot Kalra, Chris Morris, Sherfane Rutherford, Keemo Paul, Axar Patel, Jalaj Saxena, Rahul Tewatia, Rishabh Pant, Ankush Bains, Sandeep Lamichhane, Avesh Khan, Harshal Patel, Trent Boult, Amit Mishra, Kagiso Rabada, Ishant Sharma, Nathu Singh and Bandaru Ayyappa.